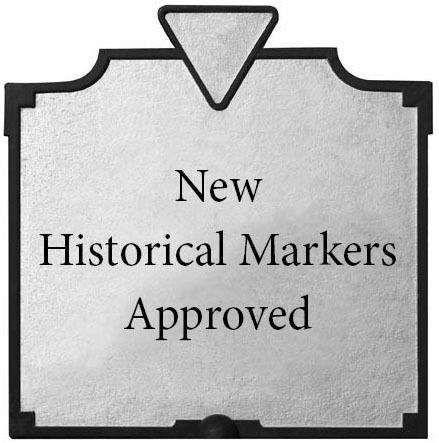 DHR – Virginia Department of Historic Resources » Ten New State Historical Highway Markers Approved in Dec.
DHR - Virginia Department of Historic Resources > Archive of DHR Press Releases > Ten New State Historical Highway Markers Approved in Dec. Among ten new historical markers approved for placement along Virginia roads will be ones to highlight Lynchburg’s ties to the “world’s first nuclear-powered merchant ship,” the African origins of the banjo and its emergence in mainstream American music, and George Washington’s early and influential biographer Mason Weems. The “Nuclear Ship Savannah” marker will rise in Lynchburg to recall the world’s first nuclear-powered merchant ship. The Savannah’s nuclear propulsion system was designed by the Babcock & Wilcox Company at its Lynchburg office on Kemper Street. The company also built the propulsion system at its Mount Athos facility located outside Lynchburg, and the ship’s first crew trained at Lynchburg College. In 1991, the Savannah was designated a National Historic Landmark. The sign “African American Banjoists” is slated for Appomattox County, where black musicians “whose identities are now unknown, taught the banjo to Joel Walker Sweeney (ca. 1810-1860), a local white musician who brought international fame to the banjo and himself,” the marker will read. West Africans developed the forerunners of the modern banjo, and freed and enslaved Africans in the Americas fashioned stringed instruments similar to those in Africa of “animal hides, gourds, wood, and gut or horsehair,” the marker will note. By the end of the 1800s, the banjo in a modified form became a mainstay of American popular culture. Mason Locke Weems (1759-1825), a myth-making biographer of George Washington, will be remembered with a marker in Prince William County. Weems’s biography, later known as The Life of Washington, first published in 1800, “shaped the heroic image of George Washington in the mind of the American public,” the marker will read. In the book’s fifth edition in 1806, Weems tells the mythical story of Washington chopping his father’s prized cherry tree and later admitting, when confronted by his father, that he did so, responding, “I can’t tell a lie.” For Weems, Washington’s honesty was his key virtue and the foundation of his greatness. “The Cavalier Hotel” will recount the 20th century history of this iconic luxurious hotel that opened in Virginia Beach in 1927, marking the city’s transition to a resort. Hotel guests included U.S. Presidents, and it regularly hosted big band performances featuring international stars. During World War II the U.S. Navy operated a radar training school there. “Midlothian Elementary School” will relay that First African Baptist Church of Coalfield opened a school for African Americans in 1866 in Chesterfield County. In 1877, the church’s congregation relocated and renamed itself the First Baptist Church of Midlothian. It deeded land for a new school to the local school board. The site’s first frame schoolhouse was replaced in 1926 with a new building that derived support from the Julius Rosenwald Fund. A brick schoolhouse was erected in 1948, and in 1969 the school closed as Chesterfield desegregated its schools. Richmond’s one-time upscale department store Miller & Rhoads will be remembered with a sign. Begun as a dry goods shop in 1885, the business moved to downtown Richmond in 1888, emerging as a department store that expanded as it thrived. Along with rival Thalhimers, Miller & Rhoads anchored the city’s downtown retail district. After African Americans picketed and boycotted Richmond’s downtown stores, Miller & Rhoads desegregated by 1961. The home and career of Thomas Pettus (1712-1780) will be relayed with a sign in Lunenburg County. Pettus was a vestryman of Cumberland Parish and a member of the Virginia House of Burgesses and the Virginia House of Delegates. He also attended Virginia’s first Revolutionary Convention in 1774, which elected delegates to the First Continental Congress. The childhood home and the career of Rosalie Slaughter Morton, M.D. (1872-1968) will be recounted by a marker in Lynchburg. Morton, a surgeon and public health advocate, graduated from the Women’s Medical College of Pennsylvania in 1897. She trained in Europe and Asia and led a nationwide public-health initiative for the American Medical Association beginning in 1909. She served in field hospitals during World War I and was a founder of the American Women’s Hospital service and established the International Serbian Educational Committee in 1919. Morton received decorations for distinguished service from the governments of France and Serbia. “Newmarket Racecourse” will highlight a now-vanished racetrack near Petersburg consisting of a one-mile oval built by 1793. It was “among the foremost tracks in the nation when horse racing was America’s most popular sport.” Prominent horseman William R. Johnson based his stables at the Newmarket Racecourse, where “many of the track’s grooms, exercise riders, jockeys, and trainers were enslaved African Americans.” The track ceased to exist by 1903. Recently listed on the National Register of Historic Places, the Woodlawn Cultural Landscape Historic District will be profiled with a marker in Fairfax County. Once owned by George Washington, the Woodlawn tract was given to his step-granddaughter Eleanor Parke Custis and her husband, Lawrence Lewis. In 1846, Quakers purchased the property and sold parcels to white and free African American farmers. 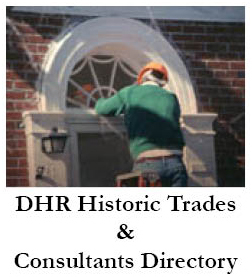 The district includes many landmarks, some built by Quakers, including a Quaker-affiliated cemetery as well as a cemetery associated with an African American Methodist congregation. The Virginia highway marker program, which began in 1927 with installation of the first historical markers along U.S. Rte. 1, is considered the oldest such program in the nation. Currently there are more than 2,600 official state markers, most of which are maintained by the Virginia Department of Transportation, except in those localities outside of VDOT’s authority. 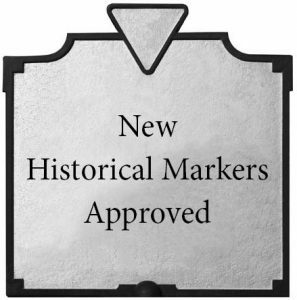 More information about the Historical Highway Marker Program is available on the website of the Department of Historic Resources at https://www.dhr.virginia.gov/highway-markers/. West Africans developed the forerunners of the modern banjo. Free and enslaved Africans in the Americas later made similar stringed instruments, typically of animal hides, gourds, wood, and gut or horsehair. Black musicians who lived near here, whose identities are now unknown, taught the banjo to Joel Walker Sweeney (ca. 1810-1860), a local white musician who brought international fame to the banjo and himself. The banjo, in modified form, became a mainstay of American popular culture by the end of the 19th century. By drawing on their musical traditions, this region’s African American banjoists shaped the diverse world of American music. First African Baptist Church of Coalfield, which stood about a mile southeast of here, opened a school for African Americans in 1866. After a fire in 1877, the congregation moved here and renamed itself First Baptist Church of Midlothian. Church trustees conveyed land to the local school board for the construction of Midlothian Elementary School on this site. The first frame schoolhouse was replaced in 1925-1926 with the assistance of the Julius Rosenwald Fund, which helped build more than 5,000 schools and supporting structures for black students between 1917 and 1932. The school occupied a new brick building here in 1948; it closed in 1969 as Chesterfield County desegregated its schools. The childhood home of Rosalie S. Morton, surgeon and public health advocate, stood on the present site of St. Paul’s Episcopal Church. Morton graduated from the Women’s Medical College of Pennsylvania in 1897 and trained in Europe and Asia. She led a nationwide public-health initiative for the American Medical Association beginning in 1909. During World War I, Morton worked in field hospitals on the Salonika Front and was a founder of the American Women’s Hospitals service, which opened its first hospital in 1918 in France. She established the International Serbian Educational Committee in 1919. Morton received decorations for distinguished service from the governments of France and Serbia. The NS Savannah was the world’s first nuclear-powered merchant ship. Authorized in 1956 during Pres. Dwight D. Eisenhower’s Atoms for Peace initiative, its purpose was to demonstrate to the world the safe and peaceful use of atomic power. The Babcock & Wilcox Company designed Savannah’s nuclear propulsion system at its Kemper Street office nearby and built the system at its Mount Athos facility four miles east of here. The ship’s first crew trained at Lynchburg College. From 1962 to 1970, Savannah traveled more than 450,000 miles, stopped at 45 foreign and 32 domestic ports, and received more than 1.5 million visitors. The ship was designated a National Historic Landmark in 1991. Proposed Location: 800 Main St.
Pennsylvanians Linton Miller, Webster Rhoads, and Simon Gerhart opened a dry goods shop several blocks west of here in 1885. Later known as Miller & Rhoads, the business moved here in 1888, became an upscale department store, and ultimately expanded to nearly half a million square feet of floor space. Miller & Rhoads, along with its friendly rival Thalhimers, anchored Richmond’s retail district and drew shoppers from across the region. After African Americans picketed and boycotted downtown stores, Miller & Rhoads fully desegregated by 1961. The company opened more than 20 stores in Virginia and North Carolina before closing in 1990. This building reopened as a mixed-use facility in 2009. Proposed Location: 501 East Broad St.
Newmarket Racecourse, a one-mile oval built just north of here by 1793, was among the foremost tracks in the nation when horse racing was America’s most popular sport. Races were significant social events that attracted competitors and spectators from great distances. Champions Sir Archy, Boston, and Planet raced at Newmarket, and prominent horseman William R. Johnson, known as the “Napoleon of the Turf,” based his stables here. Many of the track’s grooms, exercise riders, jockeys, and trainers were enslaved African Americans. During the Civil War, fighting took place near the racecourse on 18 June 1864 and 25 March 1865. The track declined after the war and ceased to exist by 1903. The Cavalier Hotel, completed in 1927, is emblematic of Virginia Beach’s transformation from small town to major resort during the Roaring Twenties. The hotel’s luxurious accommodations attracted visitors from across the country, including several U.S. presidents. Its 500-watt radio station, WSEA, was the first to report on the return of Charles Lindbergh to the United States after his transatlantic flight in 1927. The Cavalier Beach Club regularly hosted big band performances featuring international stars. During World War II, the U.S. Navy operated a radar training school at the hotel. The Classical Revival building is listed on the National Register of Historic Places. Proposed Location: 4200 Atlantic Ave. 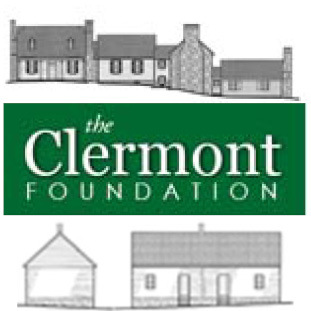 This 152-acre historic district was part of George Washington’s Mount Vernon estate. In 1799 Washington gave the Woodlawn tract to his step-granddaughter Eleanor Parke Custis and her husband, Lawrence Lewis. Northern Quakers bought the property in 1846 and sold parcels to white and free African American farmers. The historic district includes the Lewises’ Woodlawn mansion (ca. 1805), the Quakers’ meetinghouse and burial ground, and a cemetery established by Woodlawn Methodist Church, an African American congregation. Also preserved here are George Washington’s gristmill, reconstructed in 1933, and the Frank Lloyd Wright-designed Pope-Leighey House, completed in 1941 and moved here in 1965. Nearby stood the home of Thomas Pettus, vestryman of Cumberland Parish (1758-1779) and member of the Virginia House of Burgesses (1769-1775) and the Virginia House of Delegates (1777-1778). After royal governor Lord Dunmore dissolved the General Assembly on 26 May 1774, Pettus was among 89 former burgesses who met at the Raleigh Tavern the next day. The participants pledged to boycott most goods imported by the British East India Company and called for a congress of the colonies. Pettus also attended Virginia’s first Revolutionary Convention in Aug. 1774, which elected delegates to the First Continental Congress and resolved to cease trade with Britain if grievances were not redressed. Mason Locke Weems (1759-1825), minister, bookseller, and writer, owned a half-acre lot here from 1798 until 1802. Weems published the first edition of his most influential work, later known as The Life of Washington, in 1800. Widely distributed across the United States, Weems’s book shaped the heroic image of George Washington in the mind of the American public. The book’s best-known scene, in which a young Washington cuts his father’s prized cherry tree with a hatchet, appeared in the fifth edition (1806). In this mythical story, Washington admits fault when confronted and says, “I can’t tell a lie,” reflecting the virtue that, according to Weems, was the foundation of his greatness. Proposed Location: 3944 Cameron St.